Another great day on the Salish Sea. Started off with a mixed bag of weather, a little over cast and some rain then sun and a bit windy as the day progressed. I guess being that today is the first official day of Fall we had it all! Started off the morning with spotting a juvenile Humpback cruising around the magnificent waters of Race Rocks where there were also lot’s of California Sea Lions and Stellar Sea Lions enjoying the day. Later in the morning and afternoon we came across two pods of Transients Orcs’s, T-35’s and T-38’s near Constance Bank whom were on the hunt for their next meal. . . let’s just say they “sealed” the deal. ;) This pod of eight whales consisted of adult females and juveniles. 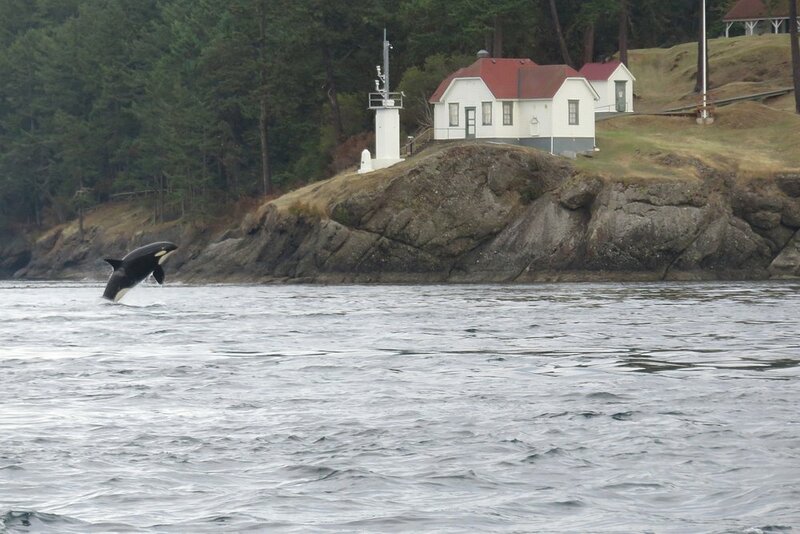 Our featured photo today was taken by one of our guest’s recently, Stephanie Willems whom came out with us September 15th on BC Luna and got some great pics!